Together, these three parts feature eight chapters contributed by eight different authors. 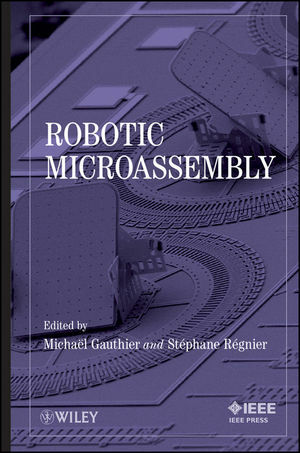 The authors, internationally recognized experts in the field of robotic microassembly, represent research laboratories in Asia, Europe, and North America. As a result, readers get a remarkable perspective on different approaches to robotic microassembly from around the world. Examples provided throughout the chapters help readers better understand how these different approaches work in practice. References at the end of each chapter lead to the primary literature for further investigation of individual topics. Robotic microassembly offers a new, improved way to manufacture high-performance microelectro-mechanical systems (MEMS). 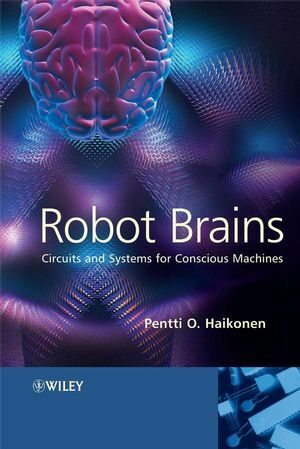 Therefore, any professional or student involved in microrobotics, micromechatronics, self-assembly or MEMS will find plenty of novel ideas and methods in this book that set the stage for new approaches to design and build the next generation of MEMS and microproducts. MICHAËL GAUTHIER, PhD, is a researcher at the Centre National de la Recherche Scientifique (CNRS), working with the Automation and Micromechatronic Systems Department in the FEMTO-ST Institute in France. His research interests focus on the modeling and study of automatic micromanipulation strategies, with an emphasis on artificial microobjects under 50 µm. STÉPHANE RÉGNIER, PhD, is Professor as well as head of the micromanipulation team at the Institut des Systèmes Intelligents et Robotique (ISIR) in France. His research examines microscale phenomena such as micromechatronics and biological cell micromanipulation. PART I MODELING OF THE MICROWORLD. 1 Microworld modeling in Vacuum and Gaseous Environments. 2 Microworld Modelling: Impact of liquid and roughness. 3 Unified view of robotic microhandling and selfassembly. 4 Towards a precise micro manipulation. 4.2 Handling principles and strategies adapted to the microworld. 5 Microhandling Strategies and Microassembly in Submerged. 5.4 Chemical control of the release in submerged handling. 5.5 Release on adhesive substrate and microassembly. PART III ROBOTIC AND MICROASSEMBLY. 6 Robotic microassembly of 3D MEMS Structures. 6.2 Methodology of the Microassembly System. 6.4 Overview of Microassembly System. 6.5 Modular Design Features for Compatibility with the Microassembly System. 6.6 Grasping Interface (Interface Feature). 6.8 Experimental Results and discussion. 7 High Yield Automated MEMS Assembly. 7.2 General Guidelines for 2 1 2D Microassembly. 7.6 Conclusion and Future work. 8 Design of a desktop microassembly machine and its industrial. application to micro solder ball manipulation. 8.2 Outline of the machine design to achieve fine accuracy. 8.3 Application to the joining process of electric Components.